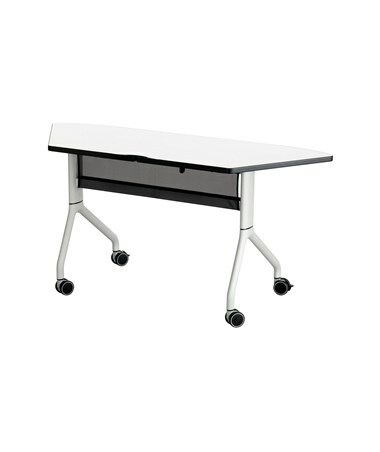 The Safco Rumba Trapezoid Table is a flexible table that could cater a variety of user needs. 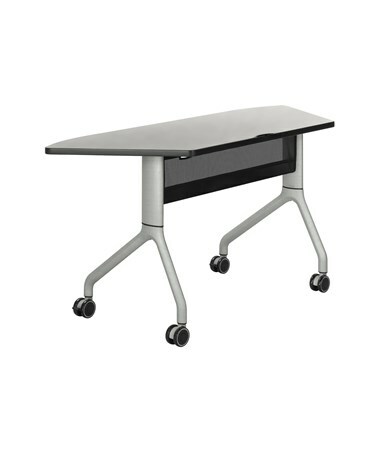 It can be configured into multiple styles according to space needs, making it perfect for conference rooms. 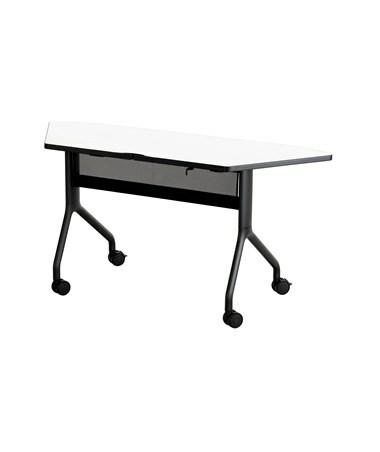 The trapezoid-shaped top can be folded down so the tables can be easily nested together with each other. 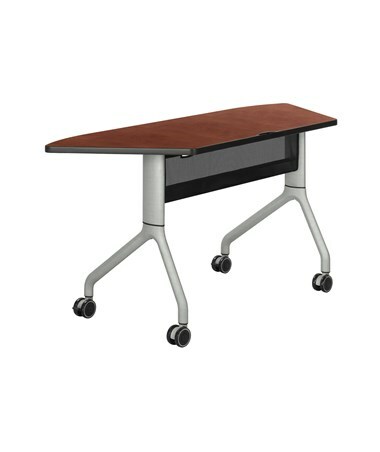 It features an edge with a t-molded 3mm vinyl, an integrated cable management system, and a mesh modesty panel. 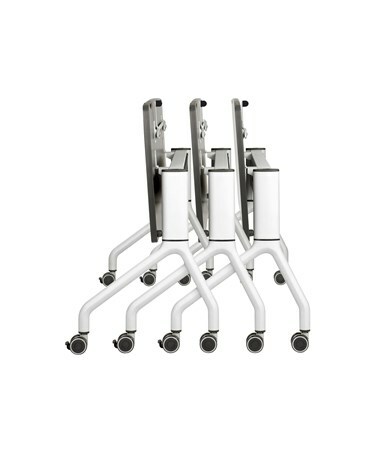 Also included are four dual wheel casters that are attached to the table’s legs and two of these casters are locking. The 29.5-inch high Rumba table is a durable piece of furniture. 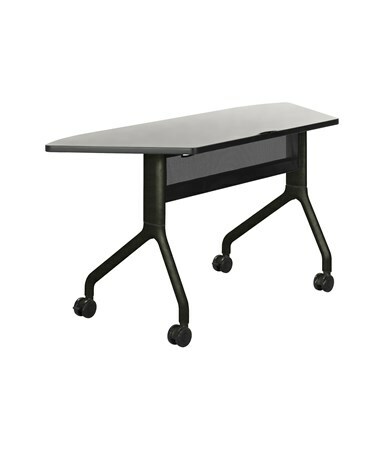 Its base is made of 14-gauge steel and cast aluminum legs, while its tabletop is made of one-inch thick high-pressure laminate. 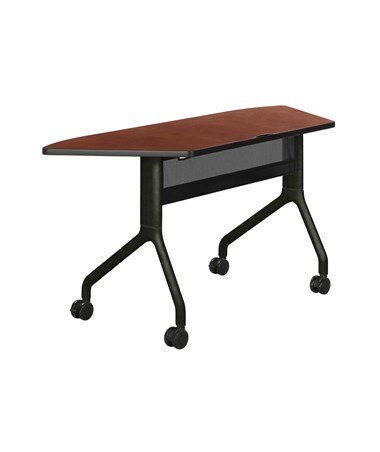 This table is GREENGUARD certified for low chemical emissions and Global Educator Institute (GEI) endorsed. 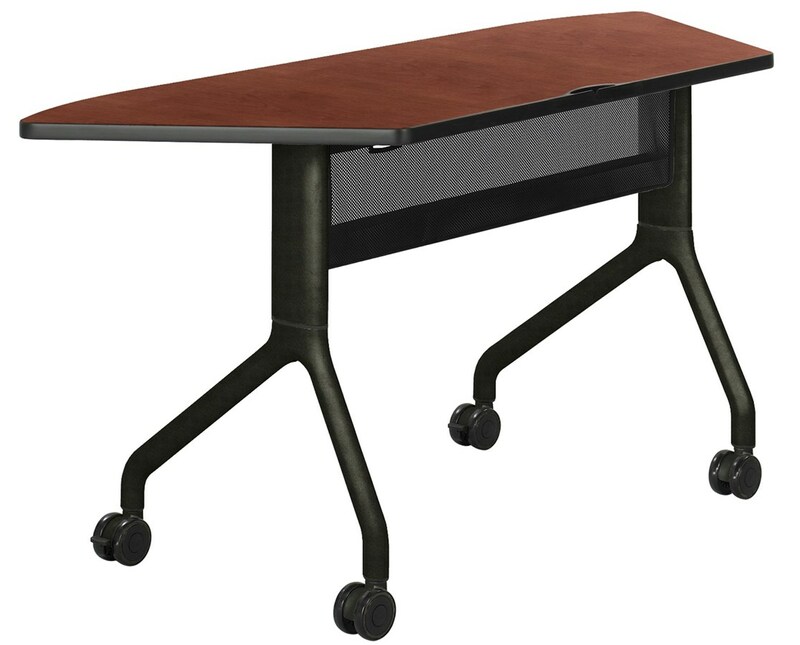 The Safco Rumba Trapezoid Table is available in different sizes and colors. Please select your preference from the drop-down menus above.